He’s not dead, just got a new job. Stephen Wacker was the single best comic book editor of the past 10 years. I’m not entirely sure what a comic book editor exactly does. I suspect it’s different from editor to editor, and office to office. You’ve heard the horror stories of editors that do all the writing or the plotting, and are very dictatorial to the writers (cough cough, New 52). The best of them, I imagine, are there as a sounding board for ideas, and function as a guide or offer an idea when needed. I’m sure their primary role is to get the books out on time, with whatever methods they take to accomplish that. But what I suspect is the greatest strength of a comic book editor, is getting the right creative team on the right books. This was clearly a strength of Wacker’s. Nova by Jeph Loeb and Ed McGuinness. Guardians of the Galaxy by Bendis and McNiven (and Pichelli). Avenging Spider-Man. Scarlet Spider. Venom. Punisher by Greg Rucka and Marco Checchetto. Ms. Marvel was graduated to Captain Marvel by DeConnick and Soy under his watch, only to bring in a new Ms. Marvel with a more diverse background. 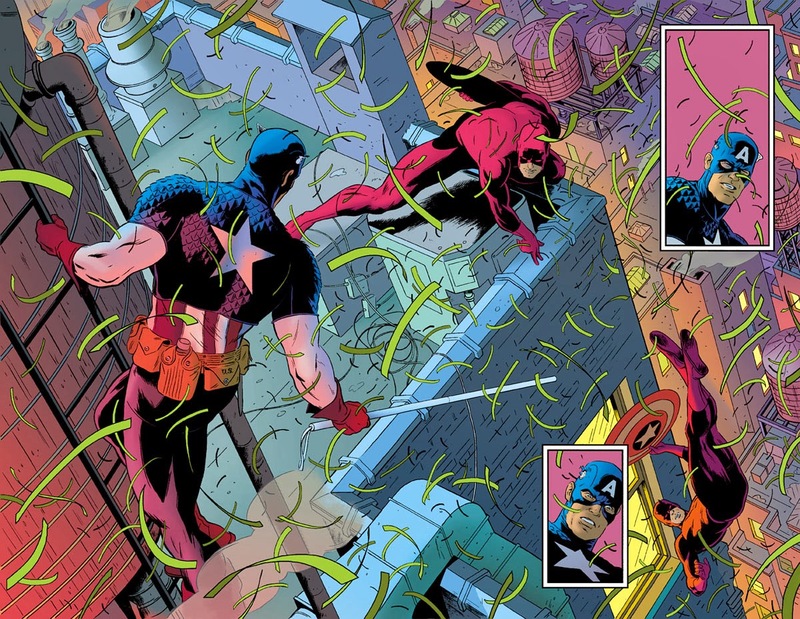 He also was the senior editor on Hawkeye by Fraction and Aja, and Daredevil by Waid, Rivera, and Martin (and eventually Samnee), two of the most critically acclaimed Marvel books of recent memory. Superhero comics have never been more inclusive of women, on and off the page (he had at least two female assistant editors working for him) than in the Wacker office. Rarely have story ideas and approaches to characters been so daring, adventurous, and bold than in the Wacker office. Greg Rucka has gone on record saying he was done writing for Marvel, until Wacker planted the seed in his head to tackle Punisher. This lead to him thinking about how he would approach a Punisher book, a very different approach, and what we got was probably my favorite Punisher run ever. The aforementioned Captain Marvel, the recently launched Ms Marvel. 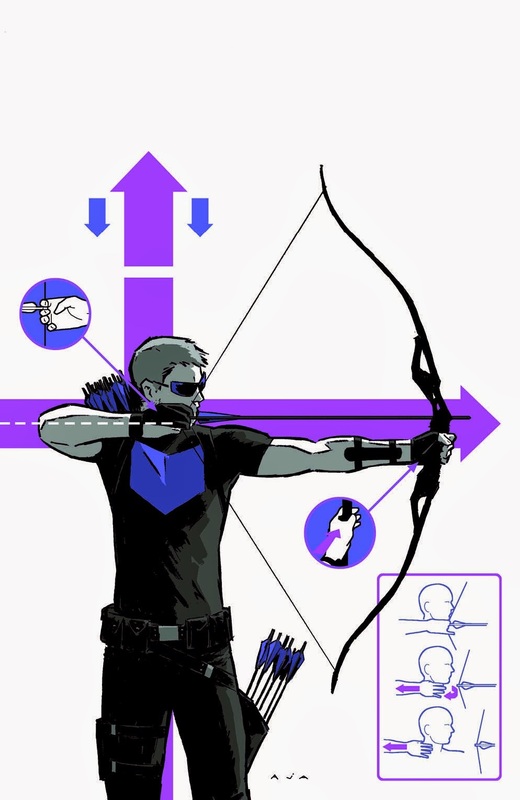 Hawkeye in his off-duty time. Daredevil breaking from the Frank Miller mold, which hasn’t been attempted really at all (besides Karl Kesel, which was short-lived) since Frank Miller himself created that model for the character. Never was all that innovation more evident than in his role as the senior editor of the Spider-Man books. Wacker had the thankless job of directly following up the controversial (as comic books get, which is relative) erasing of Peter Parker’s marriage to Mary Jane. Wacker was hired to coordinate the new three times per month shipping schedule of Amazing Spider-Man, on the strength of (I assume) his work on DC’s 52 series (incidentally where he developed relationships with Waid and Rucka). Brand New Day wasn’t perfect, but I was so onboard with the status quo change that I was going to support it. After years of dreary, darkly colored stories about Spider-Man with pseudo-“adult” dialogue that was frankly terrible, at least there was a Spider-Man book trying to have fun again. 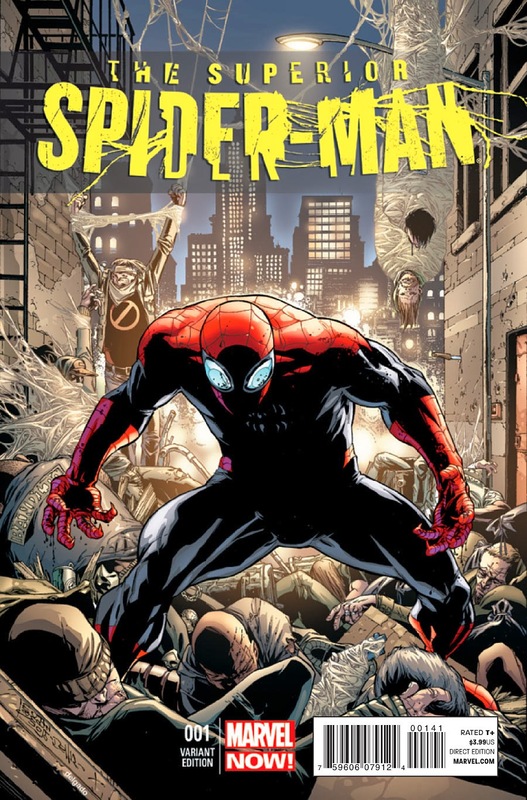 Not every story was great, but most were enjoyable, especially the ones written by Dan Slott. I think it took until around "Kraven’s First Hunt" when the team really got rolling on the books on a consistently above average basis. The next big change for Spider-Man was Dan Slott taking over as the solo writer, twice a month, starting with the Big Time storyline. From the very start you could tell this was going to be a special run on Spider-Man, and it has been. In my opinion, it’s easily in the top three of all time (following Ditko and Stern) and you could even make the argument for it surpassing Stern at this point (I’m not ready to concede it yet, but I’ll listen). From the return of Roderick Kingsley, to the new classic #655, to Spider-Island, and everything in-between. At worst you got an average Spider-Man story, and at best you got one of the greatest Spider-Man stories of all time. As far as Wacker’s online personality goes, he’s basically my sarcastic-humor hero. I started noticing how involved he and Slott were on message boards around the time One Moment in Time was coming out, and they yet again kicked up a hornet’s nest of whining from the online Spider-Man (fans). After years of reading message boards but never contributing, it spurred me to register and join the conversation. Who wouldn’t want to talk to the writer and editor of Spider-Man? That level of interaction with the fans is something you always hope for as a fan. Some people didn’t enjoy it as much as I did, but that’s because they’re humorless and sad. This in many ways led me to interacting with online comics communities ever since, where I’ve met a wide-ranging variety of great friends from all over the world (and basically to me writing these Back Issue Bens, so blame Wacker for that). I can say for certain that Wacker has presided over one of the most tumultuous runs of Spider-Man comics in the character’s history, and he always did it with confidence and humor. Stan Lee, Conway, the Clone Saga team, none of them had to deal with the kind of internet “pressure” and social media presence that Wacker and Slott have had to deal with, and they’ve handled it well. It’s through those early online interactions that Wacker did one of the nicest things anyone has ever done for me just for the sake of doing it (and because he and Marvel support the military), and that was mail me a box of comics to read while I was stationed in Korea, separated from my family, for an entire year. (I sent a little something special back to him to give to his son.) Years later, when he launched the Guardians of the Galaxy book during my deployment in Afghanistan, I sent him a picture of me holding the tiny Groot toy that I kept in my shoulder pocket during my entire tour. 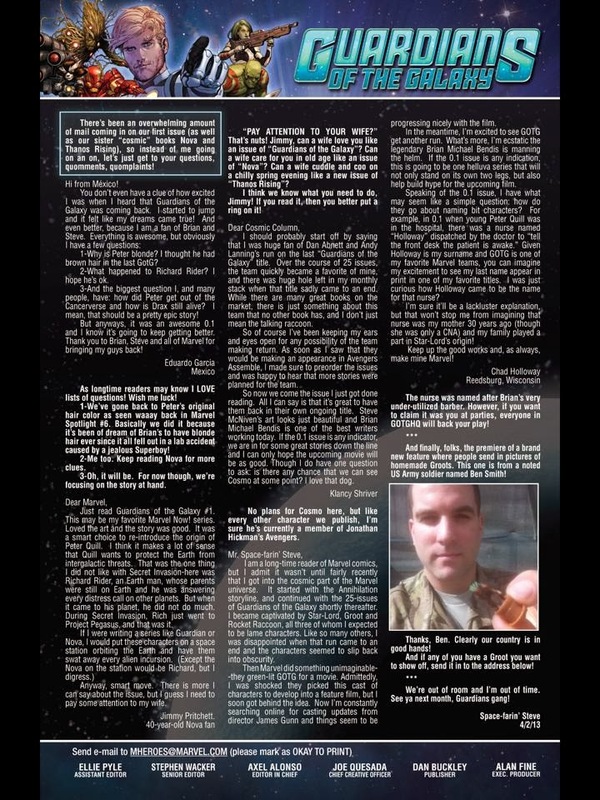 He put it on the letters page of issue #2! It was the first time in my long history of comics I’d ever made it on to a letter’s page, and it was a picture. That was unexpected and amazing. After reading a twitter post of his one October, saying that fans should send in pictures of their kids dressed as Marvel characters for Halloween, I was shocked once again when, many months later, all the Avengers letter pages for one month had the picture of my son Parker dressed as Ant-Man on them. Steve Wacker just recently got a job working in the Marvel animation department. I’m happy for him (and I hope he gets a Guardians of the Galaxy animated series going) but I fear for the books that he leaves behind. 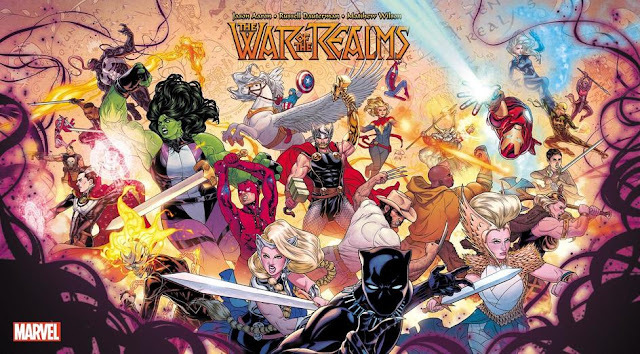 I’m sure they will continue to be entertaining, under the guidance of the many editors he trained and worked with in his time at Marvel, but I can’t help thinking that his influence will be sorely missed. There’s not many editors in the history of comics you can say that about. Stephen Wacker was one of the special ones. Good luck to him and his family. Steve Wacker's edited some quality books. Here are some of them.